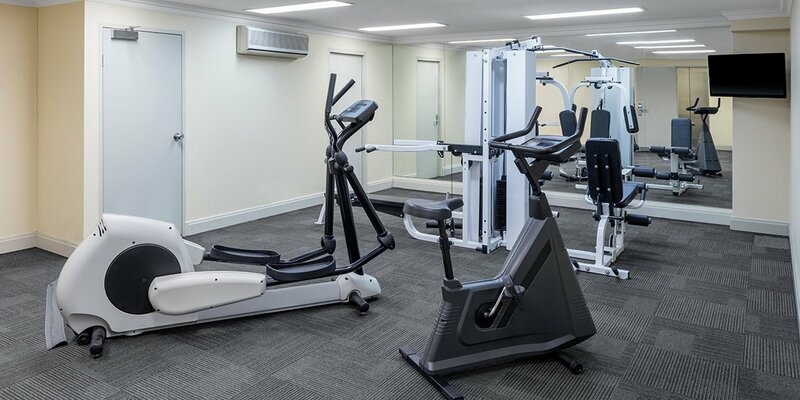 Perfectly located in the heart of Sydney’s CBD, Adina Serviced Apartments Sydney Martin Place (formerly Medina) are the ideal base for both business and leisure, just a stone’s throw from corporate headquarters, world-class dining, shopping and iconic attractions, such as the Sydney Opera House and Harbour Bridge. 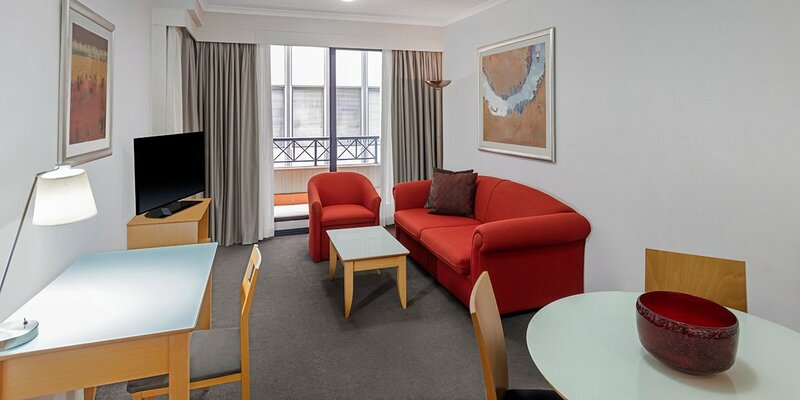 The hotel is also ideally located to access Sydney’s public transport, with Martin Place train station and numerous inner-city bus stops within a few hundred metres of the front door. If you’re spending time in the local area, walk just a few minutes to indulge in the famous steak at Rockpool Bar & Grill, juicy dumplings at Mr Wong, or dinner with the city’s most iconic view at Cafe Sydney. 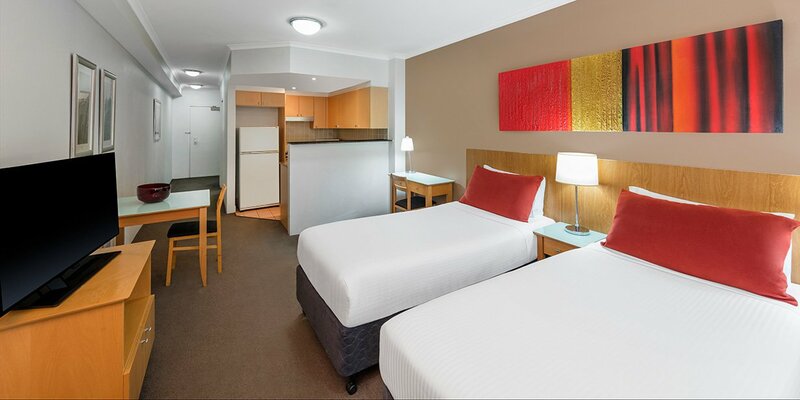 Stay in one of 49 well-appointed one bedroom apartments or studio rooms to discover a home away from home. The stylish apartments are spacious and comfortable, with fully equipped kitchens and either a king bed, queen bed or two singles. 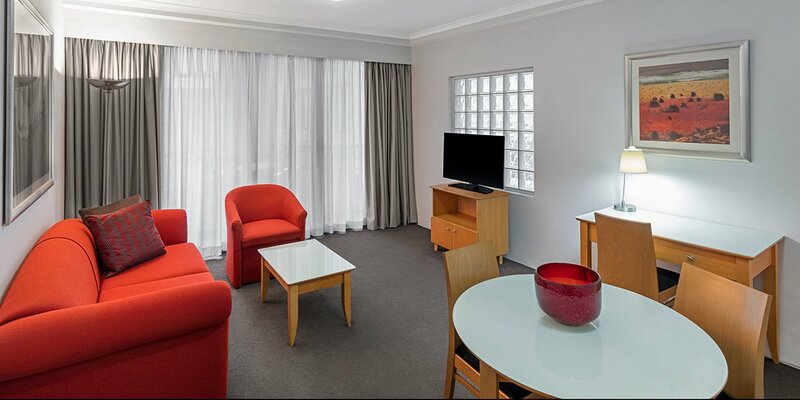 The interiors are fresh, modern and well appointed with all creature comforts, including kitchens and laundries with washing machine and dryer. 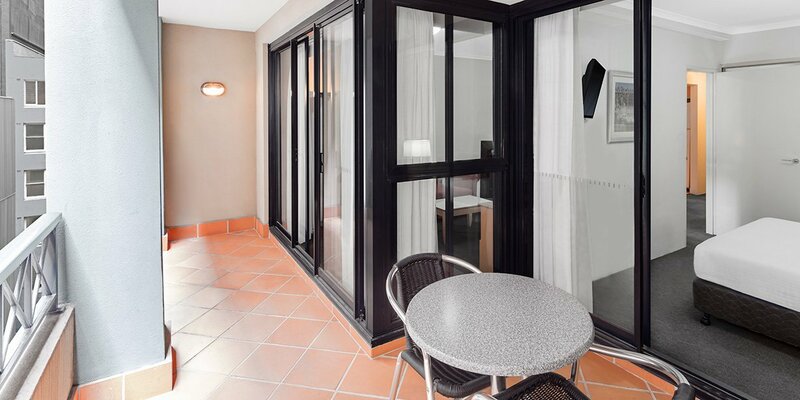 All one bedroom apartments have a balcony with an outdoor setting, providing the perfect spot to relax and enjoy a coffee or wine. 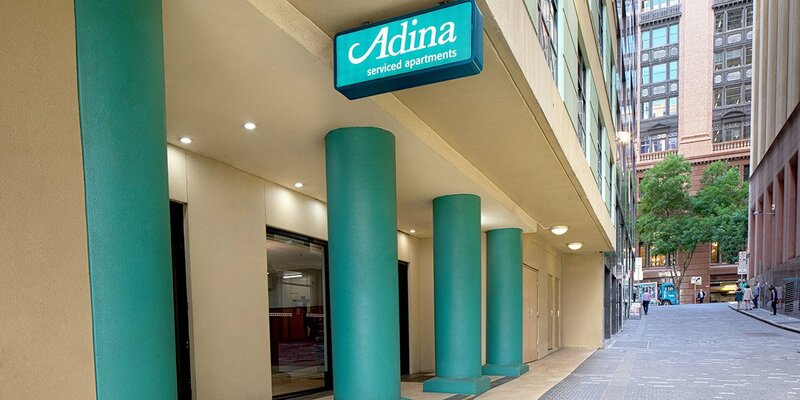 Adina Serviced Apartments Sydney Martin Place is a short walk from world-famous landmarks, including the Sydney Opera House and the Sydney Harbour Bridge. 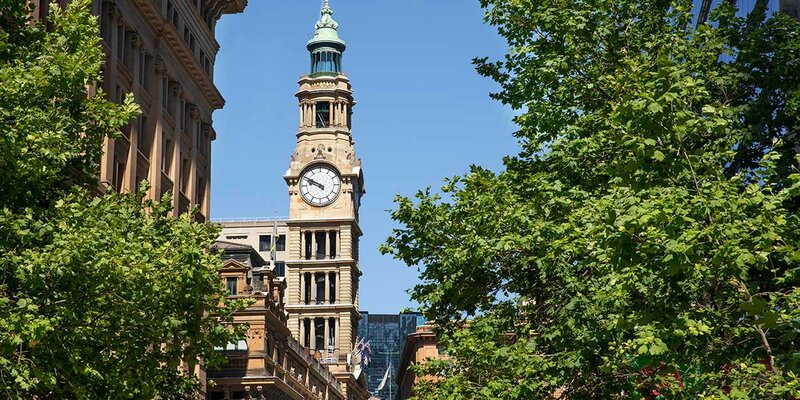 Circular Quay’s historic ferries, The Royal Botanic Gardens, Hyde Park, The Rocks, museums, galleries and big name department stores are also tantalisingly close. 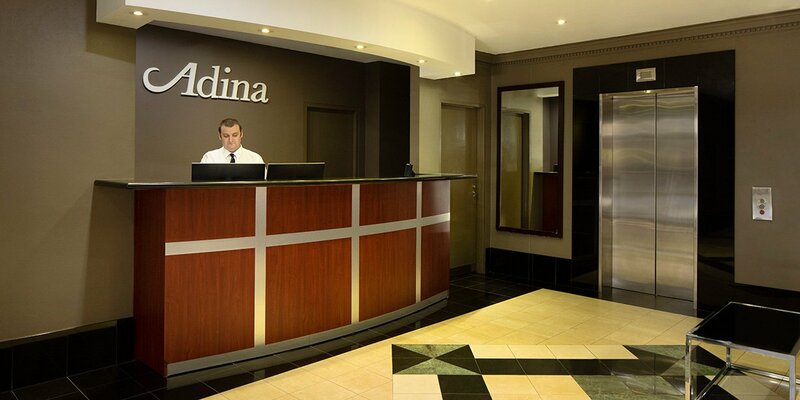 Whether you’re travelling for business or pleasure, Adina Martin Place is an ideal place to call home while you’re in Sydney.